While it's tempting to think not getting sleep isn't a big deal, the simple fact is if you do not get your daily amount asleep, you stand at risk for some serious problems. First, if you do not get enough sleep, you'll have trouble focusing during the day. It can mean difficulty performing in school, or it can mean the difference between getting a promotion or getting fired at work. Being able to function and think clearly is essential for most jobs and occupations. Sleep contributes to a clear mind. Next, without proper sleep, your body is unable to fight off disease and infection. This means it will be more difficult to stay healthy, especially if you have a job when you are around sick people frequently. If you are a teacher or work in public service, it is essential you get good sleep so that you can have a strong immune system and keep going to work – you're going to be around a lot of sick people a lot of the time, so good immunity is essential. Does your job or pastimes require you to be physically active? If so, sleep is also important for you, too. Sleep is the time your body uses to heal from injuries and rebuild muscle tissue. Even though you may not think you're tearing muscles, nearly every physical activity creates tiny tears in your muscles. Your body rebuilds these and makes them stronger – that's what the process of building muscle is all about – but if don't get good sleep, your body won't have the time to rebuild itself. Thus, you will feel weak and are more prone to serious injury. Finally, a good night’s sleep has been shown to prevent several related health problems such as obesity, heart disease and more. If there is a serious health concern, the chances are a good night’s sleep will prevent them. For the reasons above and many more, sleeping the proper amount every single day – even if you don't want to or are busy – is essential. Fortunately, there are many sleep aids available which can help you if you're not getting the right amount of sleep. Read the following tips and try them if you were having trouble sleeping. Additionally, if you have a hard time sleeping due to noise, you may consider getting a fan or a white noise generator. You may also want to buy an inexpensive pair of earplugs to help block out noise from the room. A snoring roommate can make a pretty serious difference between a good night sleep and a frustrating, fatigue filled day. If you have an ideal sleeping environment but still can't find yourself able to sleep, you may want to try some natural sleep aids. These include melatonin and St. John's wort. You can usually buy the sleep aids at your local health food store or online for better prices. These of been used for thousands of years as a way to help people sleep, and they've proven to be effective and natural, making it safe for most people. Some people respond very well to over-the-counter medication. Occasionally, all that is required to help people sleep is an antihistamine normally use for allergies. A medicine with a side effect of drowsiness in some cases may be a simple solution to help you get sleepy and feel rested in the morning. However, it is best to consult your medical history and the doctor before trying any new medications. Finally, if none of the above situations have worked, you may want to try a prescription sleep aid. Prescription sleep aids are useful in helping treat severe insomnia or long-term sleep problems. 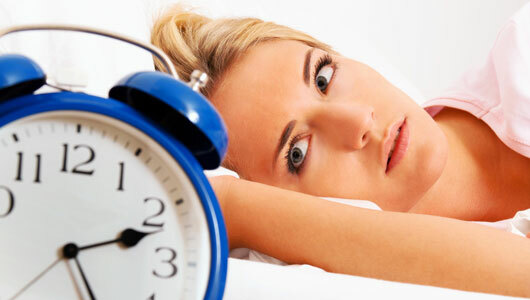 Sleep is very important, and if you can't find any other solution, visiting a doctor may help you resolve your issue. Getting a good nights sleep it's just something that's nice or desirable – it's something that is essential to keep up in today's busy world. Now, more than ever, you need to get a full night sleep. Try the above remedies and sleep aids, and look into other sleep aids not mentioned above if what is listed here doesn't work for you.